so, you mean this could somehow replace plone.recipe.codeanalysis? I primarily mean for me personally and in general for us at 4teamwork as this has editor integrations available and wraps all the relevant (for us) things and seems to have a clear vision and some steam (at least initial enthusiasm) in going ahead. For Plone this could be experimented with for any Python 3 branches or Python 3 ready packages. And I do not (most likely) mean to ultimately replace anything with coala, but to wrap it into the existing toolchains. The main value it provides is a unified interface for various tools (like pylama or pyflakes would as well, should they have an actively maintained and functional plugin for all the tools). At this point I'm merely happy to see something new has popped up which addresses some of the Python QA stack gripes I've had for a while and I was fretting I'd potentially have to go out of my way to implement myself. Yeah i can give a try if everyone wants it. You currently, for the most part, cannot, as the QA tooling at large is still firmly on Python 2. I recommend going through the issues of various Plone packages with appropriate tags and making a pull request. There are currently 11 pages of packages on github with open issues on many - try to find something which seems approachable and is labeled with the label 41 lvl: easy. So, everyone: beginner friendly issue suggestions welcome. Yeah I am going to start solving issues from next week (as i have exams going on this week ) till then i wanted to have a clear idea to what approach to follow to aim gsoc 2018. Hey as my exams are over today, what is first thing i sud do as the first step towards GSOC? Glad to hear that your exams are done, I hope you did well. Welcome to the Plone community. Here are the best next steps. Install Plone and make a simple website. If you haven't done that, do that first! Once that's done come back and report at the forum. 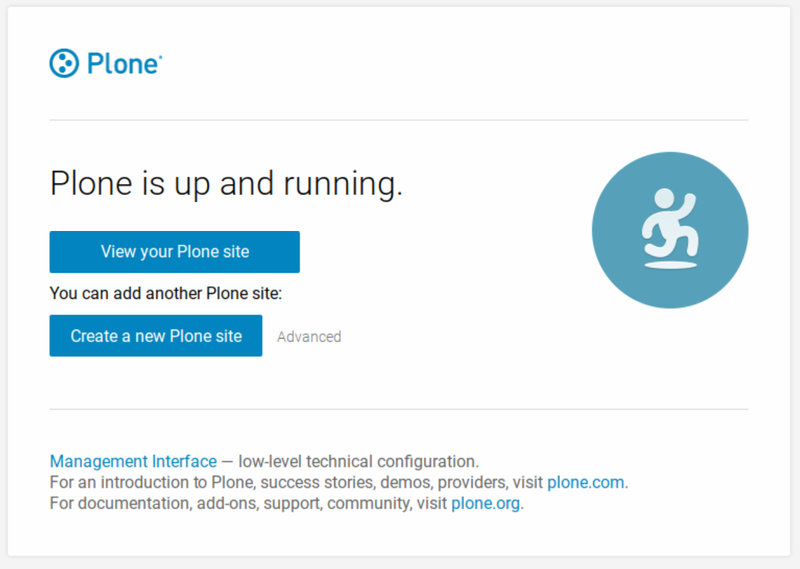 If you are having any issues installing Plone that's okay. Reach out to the community for help and share the issues that you may have come across. I noted that you mentioned reading the documentation (step 2) but you didn't mention installing Plone (step 1). If you haven't installed Plone, that's a critical first step. Again.. if you've done both steps 1 and 2 already then look for a bug and try to fix it. Feel free to ask for help right here in the forums and again, best of luck. As someone who is currently upgrading a site from Plone 4 to Plone 5, one of the big hurdles is the number of add-ons that have fallen by the way side. The proportion of available plugins claiming support for Plone 5 is really quite depressing. I think I am not alone and that this is a barrier for many other people who are putting off upgrading because of the complexity of the process and lack of support and of documentation. Might I suggest adopting a plugin. +100. Upgrading a plugin to 5 is a great way to learn the internals of Plone, its framework and how testing works which is everything you need to work on the core product. Is there a hitlist of plugins that people most need to be upgraded? okk so as i am new, i will first solve some of the first timers issues and than get to ork on the plugin. Partly this is also a matter of maintained add-ons not including the Plone 5.0 or 5.1 pypi classifier. We have this GSoC 2017 project that we need to finish and deploy into plone.org... it will help showcase add-ons. What to do after i have installed plone, that is how to run it coz i am not able to figure that out. Please link to the instructions that you followed and say at what step in the instructions that you got stuck. If you saw an error, also share that. My server is running on 0.0.0.0:8080, but i am not able to figure it out how to proceed furthur. 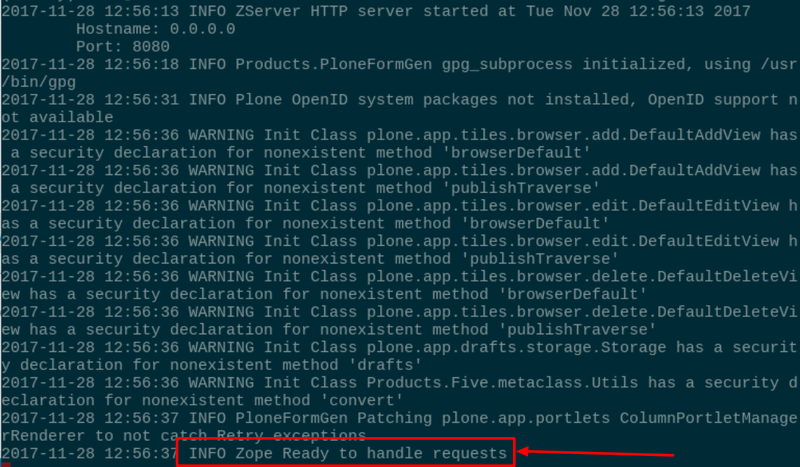 Confirm that the console says "INFO Zope Ready to handle requests"
Yeah this is what i got and then i clicked on "Create a new plone site", but what then? I think I'm missing details or something, it isn't clear what has you stuck. Please include a screenshot to show where you've reached. At that point you would fill in the form. It would let you create a new Plone site. Please share a screenshot to show where you're at now.